Bob Hawkins has lived in Sea Pines on Hilton Head since 1977. After a business career with IBM, he joined Sea Pines Associates for six years until buying The Vacation Company in 1992. He has been an operating partner since then and led the company to its position now as one of the premier Hilton Head Island management companies. In leisure hours, he enjoys much of what Hilton Head has to offer – the beach, tennis and other outdoor activities, diverse social activities, and winter season travels. Having spent family vacations on Hilton Head Island for generations dating back to 1967, Dru Brown moved to the island in 2003. 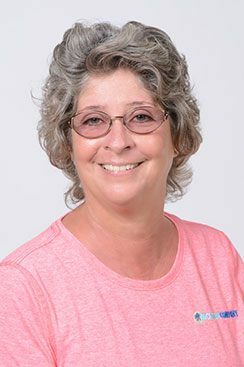 Dru has worked for short-term rental companies on Hilton Head Island for more than 15 years and is heavily involved in the local community. He is a Board Member for the Hilton Head Island-Bluffton Chamber of Commerce and several other local and national boards. He is very passionate about vacation rentals and dedicates time to advocacy and promotion of the industry. He specializes in account acquisition and outside sales, marketing, strategic planning and budgeting, operations management, account retention and relationship management, as well as investment portfolio analysis. Dru also works with realtors, prospective buyers and investors in asset management and providing information like rental projections, rental histories and more information about our program and services. When not working, Dru can be found spending time with his wife and two children or on the golf course when he is able to find time. The fall is his favorite time of year when the weather is perfect for outdoor activities. Originally from Connecticut and a Hilton Head Island resident since 2005, Ben moved here after graduating from Purdue University. It was during his time at Purdue working construction every summer where he acquired much of the knowledge he utilizes today in the property management field. A Vacation Company employee since 2010, Ben enjoys the unpredictability of the job, no two days are alike. In his free time, Ben can be found at home with his wife, two children and their English Bulldog, where sports are this family’s reality TV. 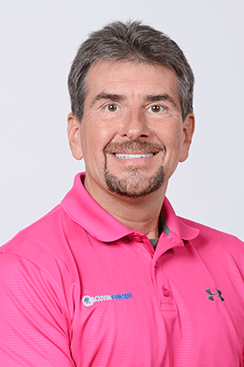 Rick has lived in Hilton Head since 2011 and has been with the Vacation Company since 2016. Originally from Boston, he managed conference centers and summer camp facilities throughout New England for five years. A graduate of Dickinson College and Northeastern University School of Law, Rick practiced law when he first came to the Island and remains licensed to practice in South Carolina and New Hampshire- although he is much happier managing properties in Palmetto Dunes and Shipyard! In his free time, Rick enjoys golf, swimming, and boating with his wife and two children. After careers in real estate and finance, working with thousands of clients, Mark has developed excellent communication skills and a reputation for dependability. Though his degree is in Finance, Mark is truly a Jack-of-all-trades kind of guy with a wide variety of knowledge and skills which pretty much makes him the perfect member of our Property Management team. 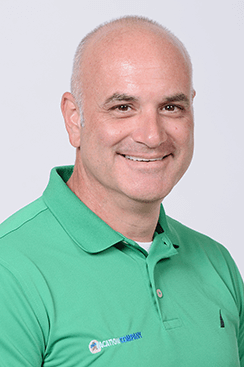 Mark now serves you as your on-site property manager, overseeing maintenance and projects at many of our properties in North and South Forest Beach. Mark takes an enormous amount of pride in making sure that all of our owners and guests are happy through his hard work, dedication, and attention to detail. In addition to the long work week he puts in at the office, Mark is always sure to spend as much quality time with his family as possible. Mark and his three sons consider themselves adventurers and are continually seeking journeys off the beaten path, preferably outdoors in our amazing Lowcountry. When not at work, Mark can be found in his greenhouse or the ocean paddle boarding. Shawn like many island residents moved to Hilton Head Island from the north, (Buffalo, New York) in 1981 and has watched the island and surrounding areas change and grow over the years. Leaving the skiing profession behind to follow his parents to Hilton Head and has never left. With over 25 Years in property management and island living, he is that “go to” person for both owners and guests. His other passions include road racing on his bicycle and skiing in the off-season. He is married, 4 wonderful children (now adults) and is now a grandfather. Ryan has been a South Carolina resident since 2007. He remodeled homes around Chicagoland area before he moved down south. Ryan left Chicago to abandon the cold winters and pursue a career in the golf industry. 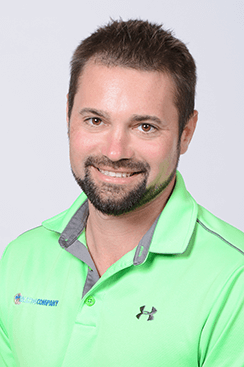 After 10+ years of competing and working around golf, he wanted to contribute his customer relation skills into property management. You can always find him playing outdoor sports and enjoying the beach. My husband and I moved to Hilton Head 3/17/2015 after living many years on St. John USVI. We had to move North to live in the South! We love Hilton Head and South Carolina. For ten years prior to moving to Hilton Head, the Vacation Company was the property management company for our villa in Shipyard. When offered a job at the Vacation Company I was so pleased. I had an immediate group of great coworkers/friends. Now they are my family. What I do for the Vacation Company is spend time in the properties to inspect them to make sure they are ready for your vacation. Every day is different and I love that challenge. When not at work my husband and I enjoy the beach and the natural beauty of Hilton Head and surrounding low country. We love to travel the US and explore new places. Visit Hilton Head and discover a new place or come back to a place you love! 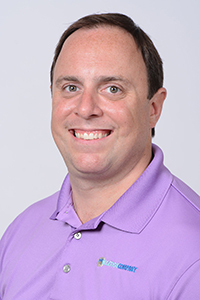 Aaron has lived on Hilton Head Island for over 6 years, originally from Hammonton, New Jersey. He attended Milton Hershey School in Hershey, Pennsylvania, a non-profit boarding school for orphans and underprivileged children, which was founded by the creator of Hershey’s Chocolate. Aaron has worked for the Vacation Company since January 2018, having previously owned and operated his own maintenance company here on Hilton Head. These skills have proved valuable for his career in becoming a property manager. In his spare time, he enjoys woodworking, playing hockey, and spending time with his fiancé and their dogs. I've lived on Hilton Head Island for over twenty years. I was born in Indiana and lived in Northern California but I after spending time here I knew that the Lowcountry was home. On the weekends my wife and two young boys love to explore the endless marshes and back roads of the Lowcountry, except in the fall when football takes precedence over everything. In a former life, I traveled to twenty foreign countries and forty-eight states but I'm the last nine years my travel has been mostly limited to baseball practice and the grocery store.